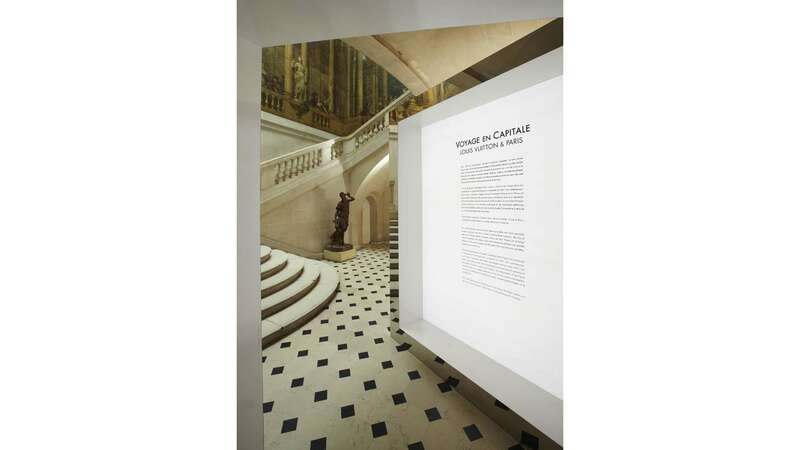 Louis Vuitton - Scenography for "Voyage en capitale" exhibition Carnavalet museum, Paris. 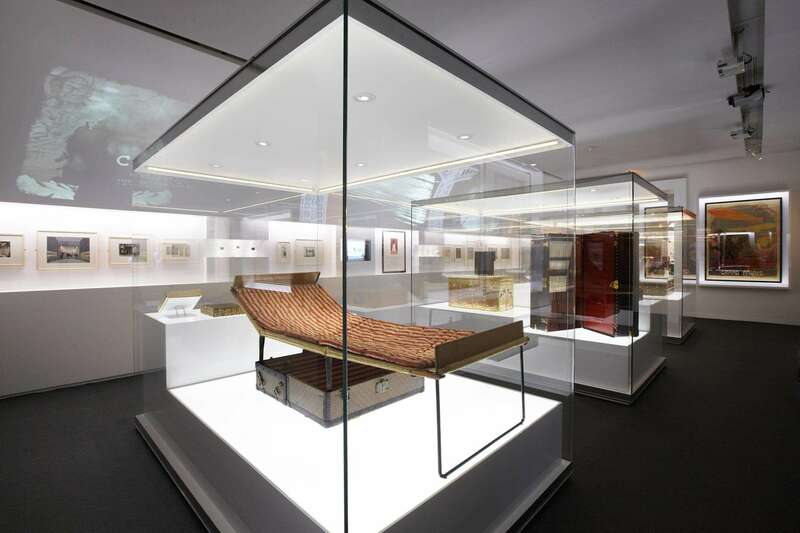 This scenography was set up in Carnavalet Museum in Paris and highlights beautiful and rare exhibited pieces. 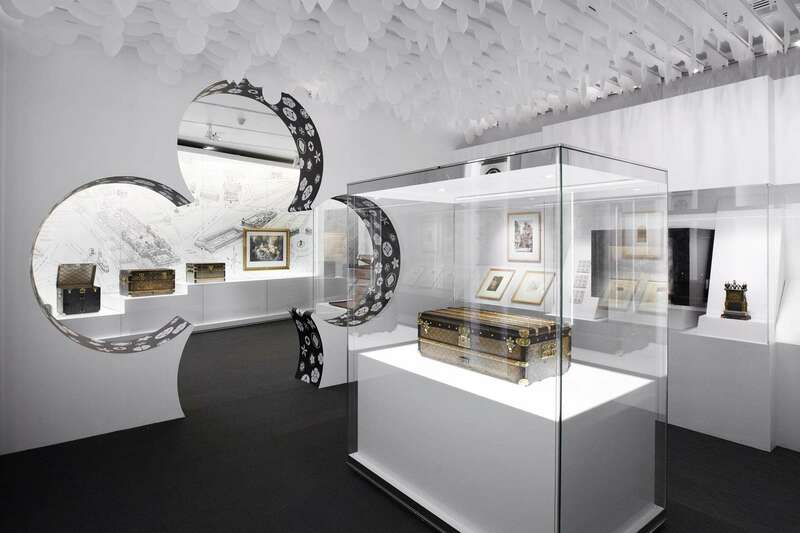 A sleek white scenography creates a tribute to the historical link between Louis Vuitton maison and the city of Paris. 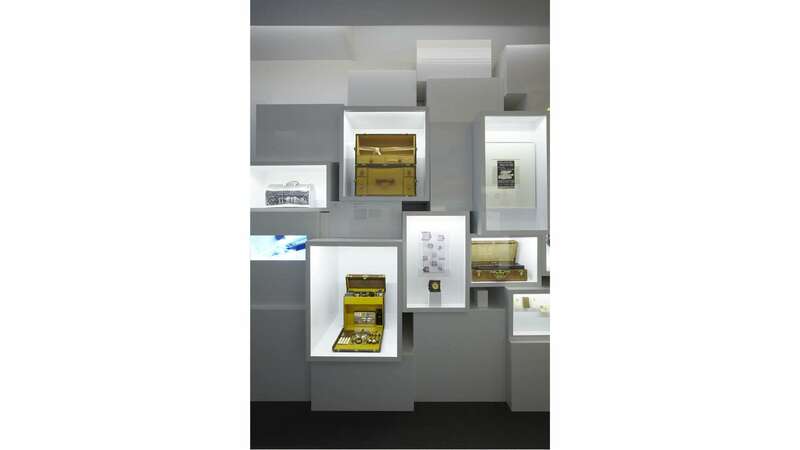 The entrance of the scenography evokes a vintage trunk with a mirror. Secondly, visitors walk under a gigantic Louis Vuitton monogram flower. 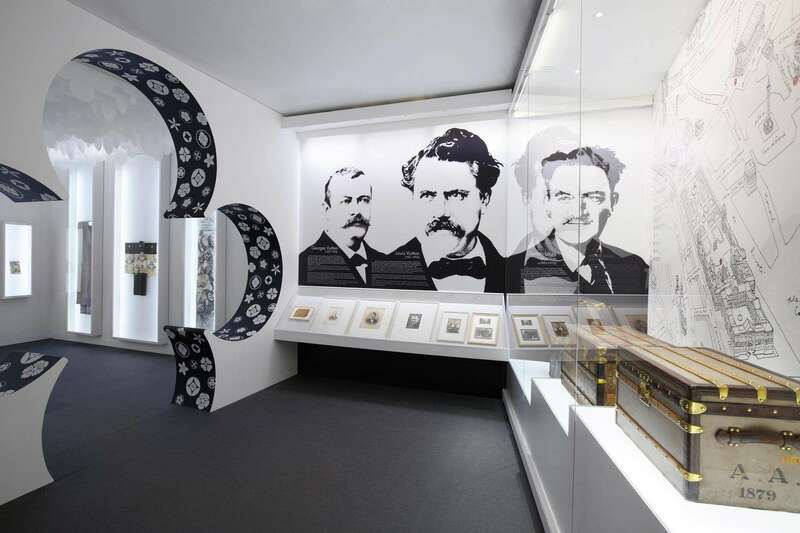 A discovery path is punctuated by historical and major event glimpses offering a graphic vision on the brand's history. Implementation : Carnavalet Museum, Paris.